Craig Given has never had the desire to soak up the spotlight and perform on stage. Instead you will find the percussionist hidden away in the dark orchestra pit of a theatre juggling a spectrum of quirky instruments. “We have got to blend into the background, we have to be invisible, which is quite impossible when you are waving you arms all over the place,” he said. 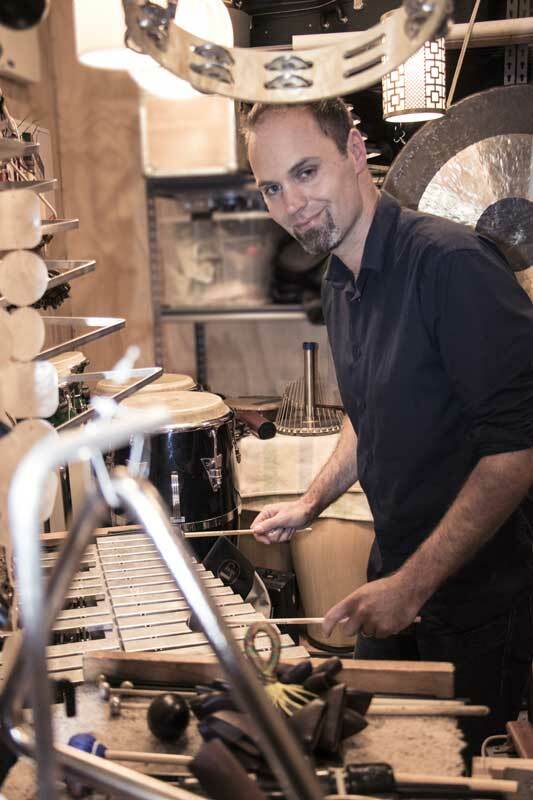 Next month, Given, 39, will take on what is both a percussionist’s dream and nightmare, playing nearly 60 instruments in Wicked, Showbiz Christchurch’s first production of the year. Wicked is one of the largest grossing musicals in Broadway history and tells the back story of The Wonderful Wizard of Oz. Although Given has been playing percussion for Showbiz for more than 20 years, he said Wicked is one of the highlights of his musical career. “There is so much diversity in the music . . . it ebbs and flows. There is African influences, orchestral and jazz – all sorts of different stylistic pieces,” he said. Finding the instruments required to create the thematic music has been as much of a challenge as playing it. For many of the instruments, Given has either had to track them down from overseas or build them himself. “I have had to make a few instruments; there is one called a bird-flapper, which is sections of balsa wood glued together which represents the sounds of birds flapping,” he said. Other unique instruments which did not exist or had to be tracked down overseas included a bell plate, trine, talking drum, nut-shaker and wand. Given said some of the music ranges from very earthy to high, sparkly sounds. One of the strangest instruments used to represent a character in the show is the waterphone, which is often used in horror films. “It is a bizarre instrument – you have probably heard nothing else like it,” Given said. He has been looking for the instruments and preparing for the show since December. Given said while living in New Zealand means performers are exposed to a bunch of shows, it is also difficult because the country is isolated. “I’ve talked to guys overseas in Broadway and doing productions in America and got a lot of photos and videos from them to help research and fabricate the instruments,” he said. As for playing the music, Given said the most difficult part is the choreography of getting from one instrument to the next. “If you have a moment of inattention, you will get yourself into all sorts of trouble,” he said. 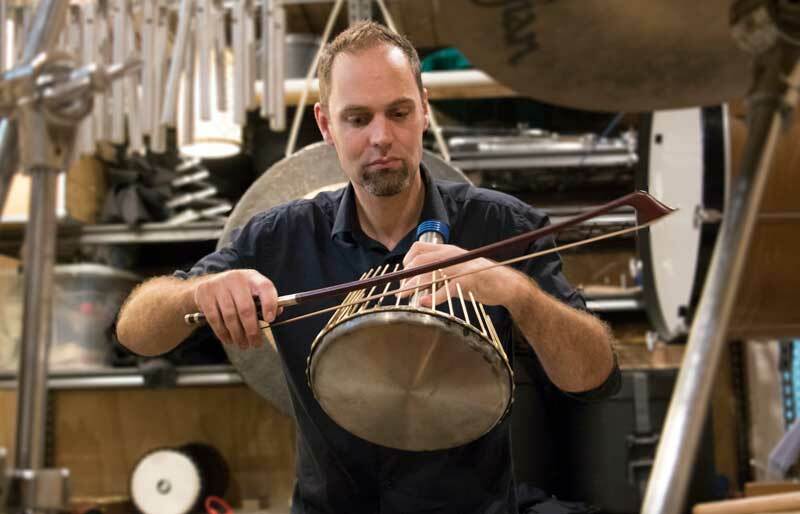 Given said he is looking forward to passing his knowledge about the instruments onto other percussionists as the show is performed by companies around New Zealand.